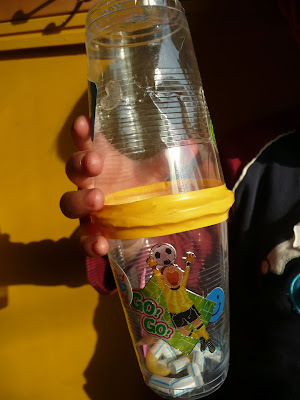 "My Five Senses" is the theme for Spring Preschool this year, and on day three we learned about the sense of touch. We read several Touch and Feel Stories and sang a tickling song during morning circle. 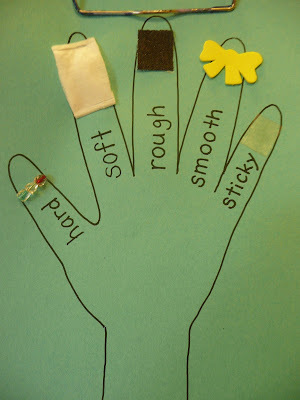 Children learned about the touch sensations hard, soft, rough, smooth, and sticky. Then they made hands with the five fingers touching hard beads, soft cotton, rough sandpaper, smooth craft sponges, and sticky tape. They identified letters of the alphabet by touch, counted blocks behind their backs by touch, and felt objects inside a bag and identified them by touch. It was another fun day! What letters do you feel? 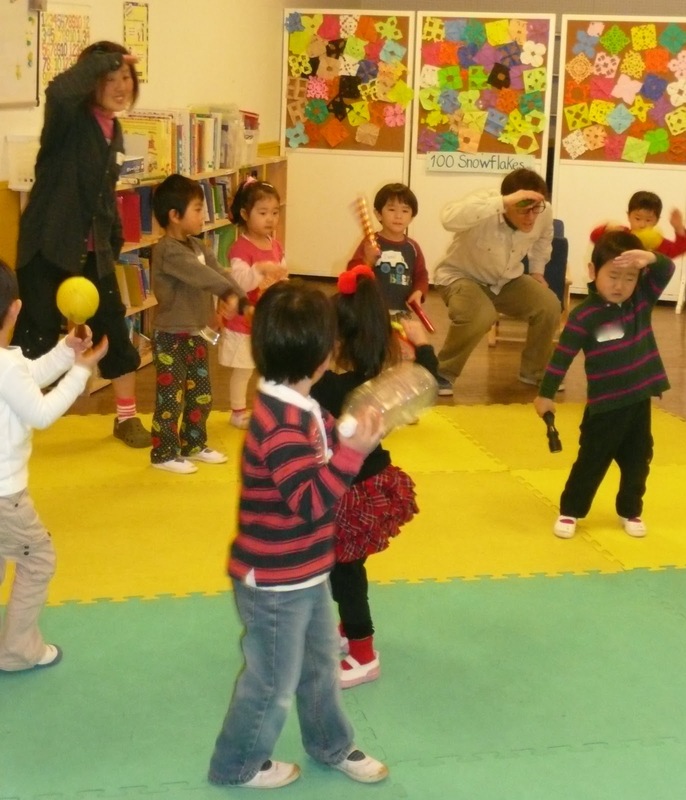 "My Five Senses" is the theme for Spring Preschool this year. Today we learned about the sense of hearing. We started off with Eric Carle's wonderful picturebook, "Polar Bear, Polar Bear, What Do You Hear?" Then we divided the children into an older group and a younger group. The older group practiced "Twinkle, Twinkle Little Star" on handbells and performed it for the younger children. The younger children played percussion instruments and danced to a song called "Every Move I Make." (The link is to a youtube video of the song.) They performed for the older children. Then all the children made their own percussion instruments. 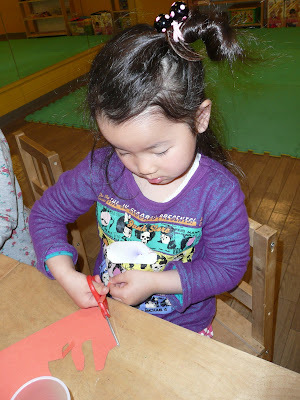 They got some scissors practice by cutting up little pieces of paper, and more work on fine motor skills by peeling off and applying stickers. We ended the day by listening to recordings of animal sounds and singing the Goodbye Song in animal voices. Tomorrow we'll be learning about the sense of touch.